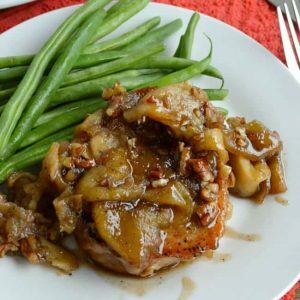 Pork chops are pan seared and then cooked in a simple buttery brown sugar sauce with fresh sliced apples to make a totally fun (and fast!) fall dinner dish. 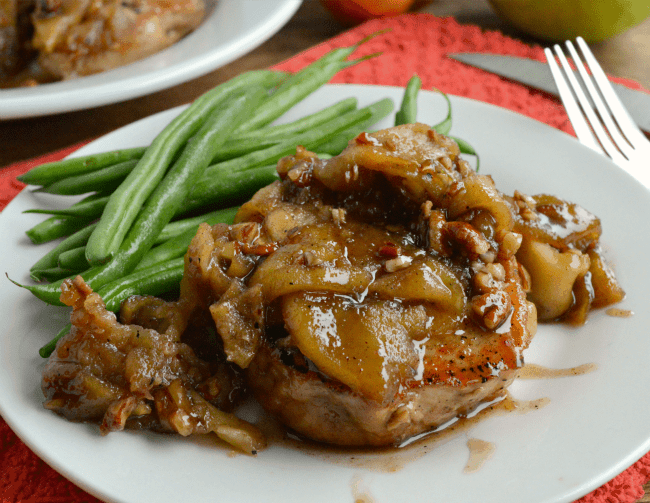 Caramel Apple Pork Chops can be on the table in just 30 minutes! 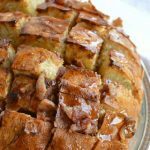 I originally shared this recipe waaaay back in October 2011, about a month after I started this blog. I have updated the photos (and the embarrassing text – what in the world?! ), but the recipe is unchanged! It is a MAJOR favorite in my house! It’s been since this time last year that I added apples to a savory dish with Chicken and Apple Cheddar Dumplings. 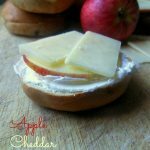 I have a TON of sweet apple recipes, but I love being able to give my favorite fruit a fun dinner twist. 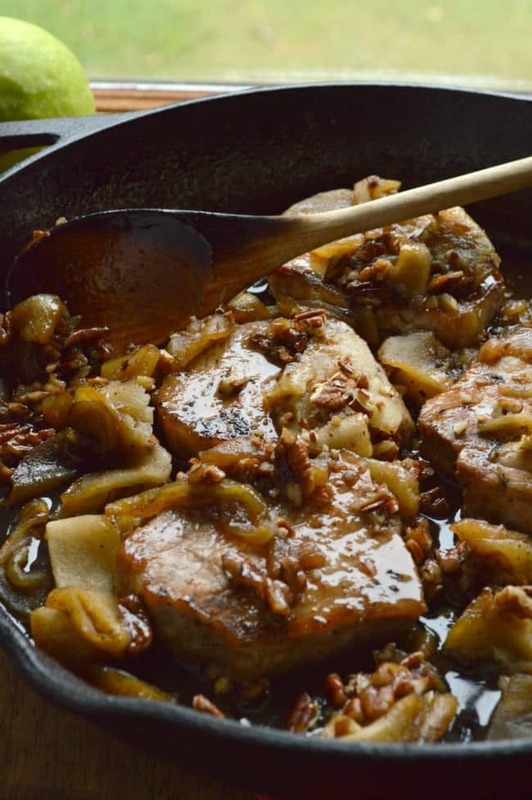 Caramel Apple Pork Chops are where it’s at. This is a super easy 30 minute one-pot dish. The apples turn out like those sweet baked cinnamon apples you can order on the side in homestyle restaurants. You know — the ones you can’t decide to eat for dinner or dessert? Those. 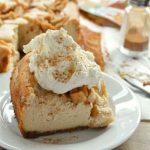 They are tender and brown sugar sweet with just a hint of cinnamon and nutmeg. 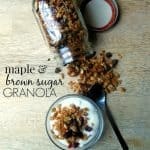 The pecans add a little richness and some crunch. Pork chops are not in my normal dinnertime wheelhouse. I have a TON of chicken recipes, but if you’ve been reading here awhile, you might remember that my dad and his non-cooking skills basically ruined pork chops for me for approximately 20 years. He thought he was extra professional when he realized he could open a can of cream-of-whatever soup, pour it over pork chops, and bake them. For the record, please don’t do that. Anyway. These are not those. The pork chops turn out tender and juicy. The sauce is brown sugar buttery. All of it together is gonna be your new favorite fall meal. Preheat the oven to 350. Heat the oil in a large skillet, over medium high heat and then brown the pork chops (about 1 minute on each side). Remove the browned chops from the skillet and set them aside. In the same skillet, over medium heat, melt butter and add the brown sugar, cinnamon and nutmeg. Stir until the sauce is completely combined and then add the apples. Cook the apples in the caramel sauce for about 3 minutes, stirring occasionally. Then add the pork chops back to the skillet and sprinkle with the chopped pecans. Bake for 25 minutes or until pork chops are cooked through. The apples will be tender and the sauce will be bubbly. 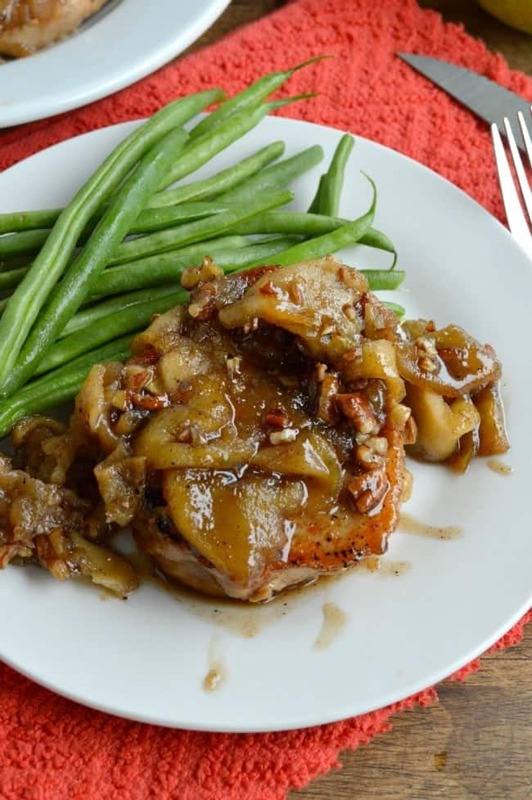 Spoon the apples and sauce over the pork chops when serving. My hubby would swoon if I made him this! oh awesome! Thanks so much Jane! Glad you enjoyed it! Made this for dinner with fried potatoes. It was awesome. The apples were wonderful. I used honey crisp apples. Yes! Honey Crisp are the best! So glad you enjoyed! Yaayyyy! Glad you loved this! 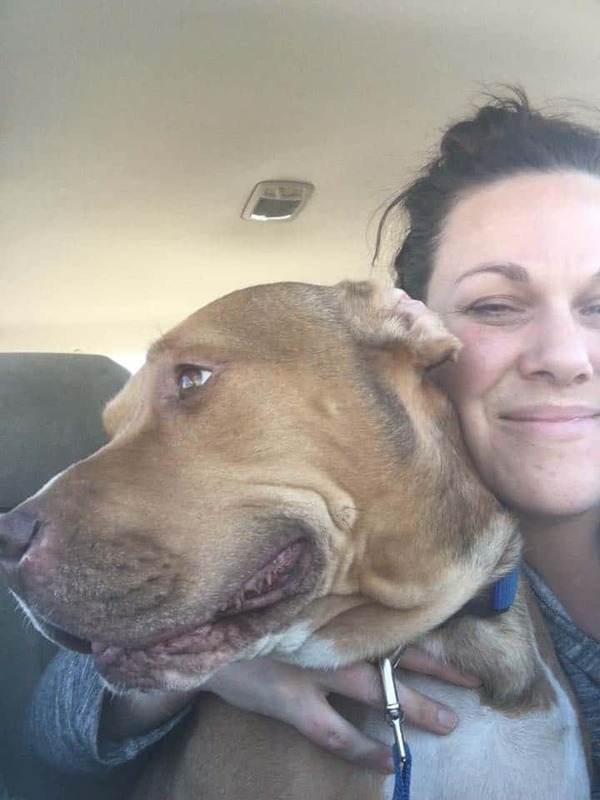 Thanks, Maggie! I don’t understand the transition from throwing them back in thth skillet to bake them for 25 minutes?